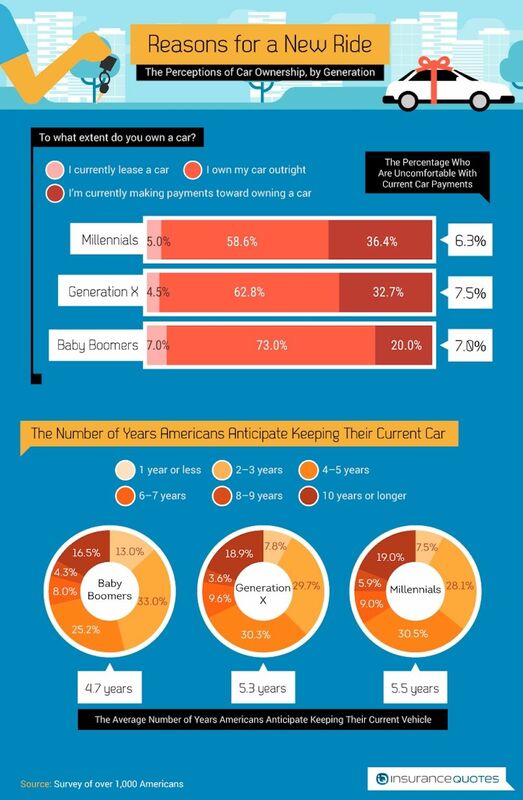 Millennials don’t like malls, cereal, buying stocks or bars of soap, and they certainly aren’t going to fall into the same automobile ownership trap as their parents. Or are they? 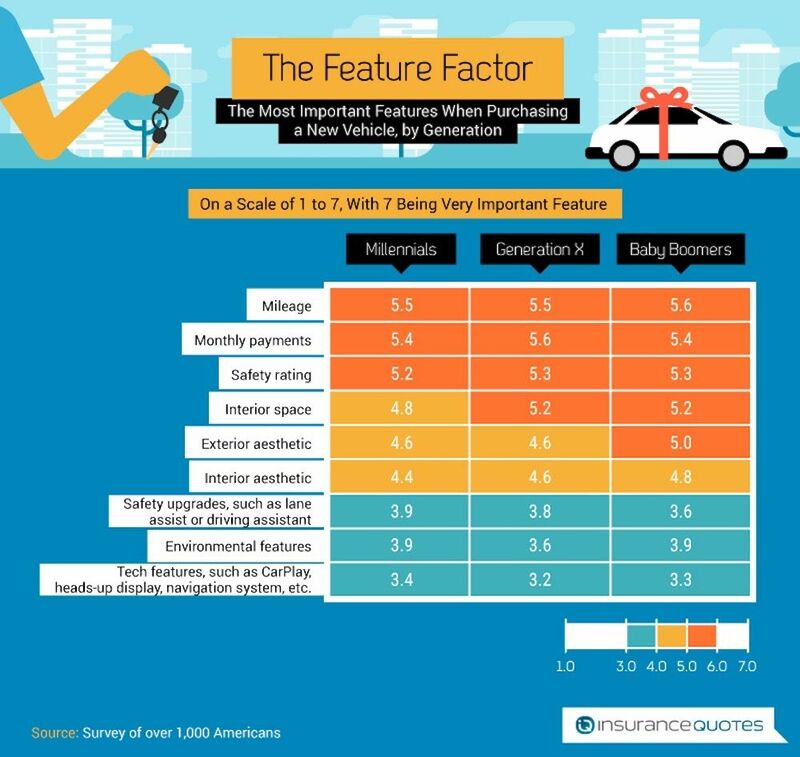 While Automated Vehicles (AVs) and rideshare services like Lyft and Zipcar are sending urban planners and car companies into overdrive as they try to figure out what the impact will be, a survey by InsuranceQuotes.com suggests that Millennials aren’t as anti-personal vehicle as some might think. In 2016, they accounted for 30% of car sales in the US, despite used and new car prices reaching record highs. But how does their ownership compare to older generations? Are they buying outright or leasing? 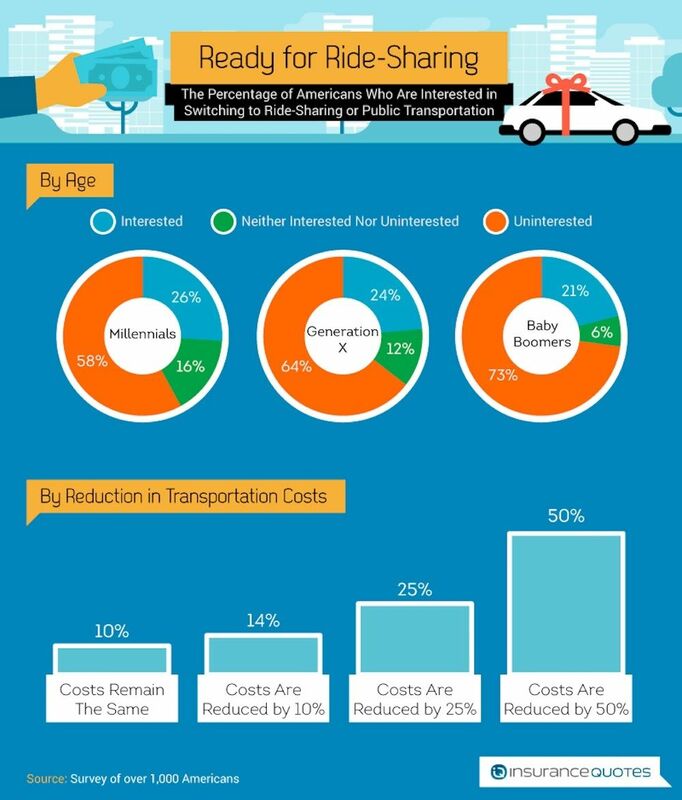 Where do they stand on gas mileage and how interested are they in switching to rideshares? The 1,000 survey responders have made it a little easier to predict the future of car ownership in the States.